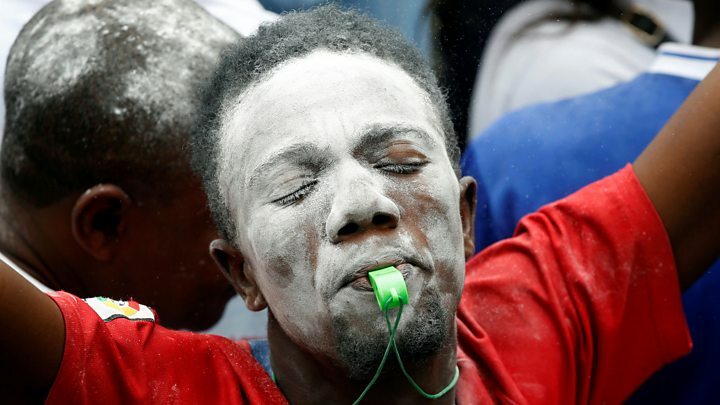 An opposition presidential candidate in the Democratic Republic of Congo has filed an appeal in the constitutional court against last month's poll result. Troops have deployed near Mr Fayulu's residence and outside the court. Announcing the appeal, his lawyer Feli Ekombe said, quoted by AFP: "The petition demands the annulment of the results proclaiming Felix Tshisekedi president of the republic. It was introduced yesterday [Friday] and today we have come to get the receipts for this petition." Speaking earlier to BBC Africa editor Fergal Keane, Mr Fayulu said: "I will do whatever is possible for me to do to get the truth because the Congolese want change." On Saturday, Mr Fayulu repeated that the result did not reflect "the truth of the ballot boxes". Mr Fayulu admitted his court challenge would have little chance of success as the constitutional court was "composed of Kabila's people" but he said he did not want to give his opponents any chance to say he had not followed the law. "Felix Tshisekedi has been nominated by Mr Kabila to perpetuate the Kabila regime. Because today the boss is Kabila," Mr Fayulu said. "Mr Kabila cannot stay and make an arrangement with someone who will not have any power... Mr Tshisekedi knows himself that he did not win." 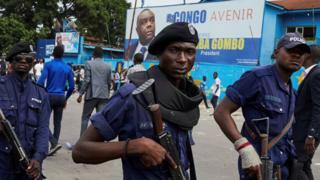 Mr Fayulu said he feared there would be violence if the electoral commission did not give the true figures "polling station by polling station" and that it was the right of all Congolese to demonstrate according to the law. UN Secretary General Antonio Guterres has urged all sides "to refrain from violence" and widespread unrest has not yet been reported. Constitutional expert Jacques Ndjoli told the BBC there were three possible outcomes: the court could confirm Mr Tshisekedi's victory, order a recount, or cancel the results altogether and call fresh elections. Video: Why are UN blue helmets in DR Congo?